We have so far published 74 scientific papers (including reviews and editorials) with a cumulative impact factor of >770 (IF value 2016) (10.845 IF/publication). Our papers have been cited >6000x (excluding self-citations) (Web of Science). Histone deacetylases (HDACs) and histone acetyltransferases mediate reversible acetylation of histones and many other non-histone proteins to regulate gene expression and protein function. Here, we describe the myriad activities of HDACs in CD4+ T cells and the potential use of HDAC inhibitors as therapeutics for immune-mediated diseases. Here were report that HDAC1 function in T cells is important for the development of experimental autoimmune encephalomyelitis. These data suggest that selective inhibition of HDAC1 might be a novel treatment strategy for multiple sclerosis. Here we demonstrate developmental stage-specific synergistic activities between MAZR and Runx/CBFβ complexes. Further, we show that MAZR is part of the molecular machinery that maintains a repressed state of ThPOK in CD8+ T cells. Here we revealed am unexpected plasticity of CD4+ T cells towards the cytotoxic lineage. We demonstrate that HDAC1 and HDAC2 are essential to maintain the integrity of CD4+ T cells by repressing repressing Runx-CBFβ complexes that otherwise induce a CD8+ effector T cell-like program in CD4+ T cells. Our data suggest an E8I- and Runx3/CBFβ-dependent epigenetic programming of the Cd8a locus during T-cell activation, leading to Runx/CBFβ complex-independent maintenance of CD8α expression in effector T cells. Here we identified that MAZR regulates CD8 lineage differentiation by repressing ThPOK in MHC class I-signaled DP thymocytes. In this manuscript we show that HDAC1 attenuates cytokine production in effector Th2 cells and, thereby, controls airway inflammation. 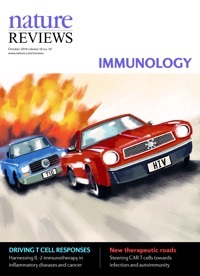 This is one of the first studies showing that PLZF is a novel transcriptional regulator for the development of CD44hi T cells with innate-like features. In this study we demonstrate epigenetic control of the Cd8 locus and identified that the transcription factor MAZR is an important regulator of CD8 expression. In this study we demonstrate that E8III is one of the cis-elements that contribute to the activation of the Cd8a and Cd8b gene complex during T cell development. Here we show that the initiation of CD8 expression is mediated by cis-regulatory elements that are distinct from any that may be involved in maintenance of expression. Further, we show that an active state of CD8 gene expression is epigenetically maintained during development of DP thymocytes.